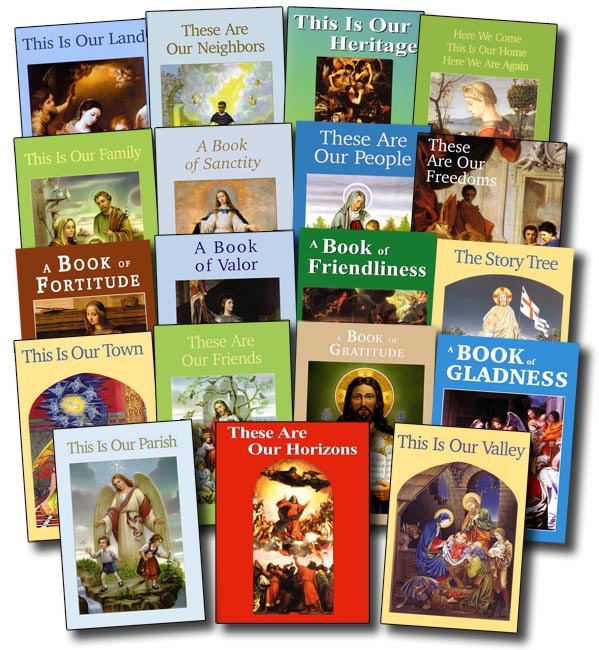 Remnants of a greater era in our nation's private educational system, these Readers combine high academic standards with traditional family values and a Catholic perspective. Seton has chosen to reprint these treasures from the 1940's and 1950's because children still love them, and parents continue to appreciate their value. The Readers contain stories about families, fables and fairy tales, folk tales, Greek myths, Bible stories, saint stories and other uplifting biographies, and much more. Many of the grades 4 and higher Readers contain comprehension and study questions, which are designed to help the child identify subtleties in the story and consider the deeds of the character. These classic Readers help to build so much more than just grammar, vocabulary, and critical reading. Through uplifting stories and poems that promote virtues such as honesty, humility, respect and gratitude, children learn to discern truth and develop good moral character.